What BeanBags were at the Quiksilver Pro on the Gold Coast? 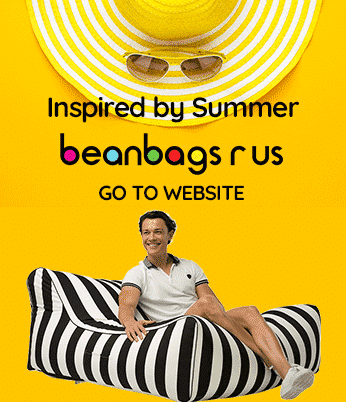 Bean Bags R Us NewsDesigner Bean BagsWere they BeanBags at the Quiksilver Pro on the Gold Coast? Were they BeanBags at the Quiksilver Pro on the Gold Coast? Shouldn’t every world-renowned sporting event include world-class comfort? We’re proud to announce that our bean bags were used at the world’s premier surfing event this year. Held in March 2014 on the Gold Coast, Australia’s most beloved tourist destination, the Quiksilver Pro and Roxy Pro events welcomed the best surfers from around the world. These surfers enjoy tough competition amidst the beauty and intrigue of South-East Queensland. In the VIP Marquees and the Bohemian Chill Out Room, they also enjoyed our stylish and comfortable bean bag furniture. The annual Association of Surfing Professionals (ASP) World Surfing Tour kickoff event started in 2002, making this the thirteenth year the Quiksilver Pro has made its home in the six-star surfing venue known as Snapper Rocks. Once notable only for its abundance of fish, Snapper Rocks became known as the Superbank in 1995 and now offers long, crowded stretches of waves that test the skills of the world’s greatest surfers. 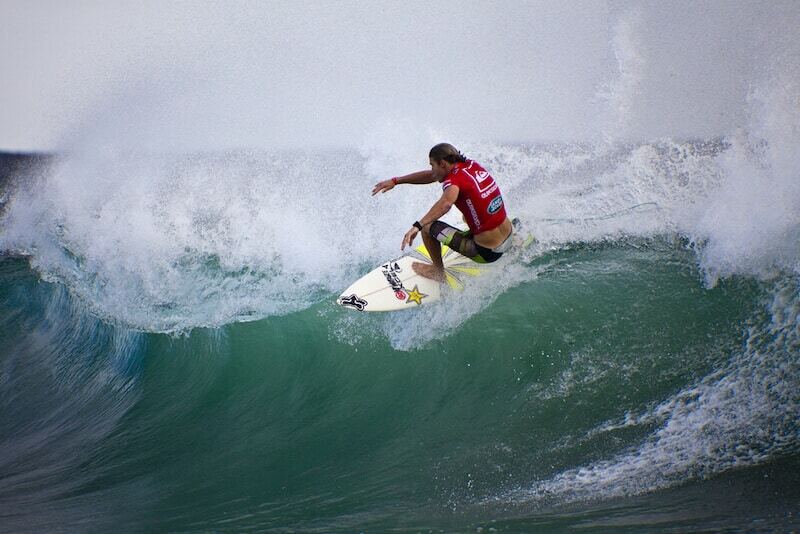 For this year’s event, the weather at Snapper Rocks was virtually perfect. Warm 27-degree temperatures and azure skies set a beautiful background for amazing athletes to showcase their abilities. In what some are calling a breakthrough world surfing victory, Brazilian surfer Gabriel Medina won the men’s Quiksilver Pro event. The 20-year-old, who suffered a broken leg in the opening rounds of last year’s event, beat Australian runner-up Joel Parkinson by 0.06 of a point for a dramatic finale. The women’s Roxy Pro Gold Coast Championship went to five-time ASP World Champion Stephanie Gilmore of Australia, who defeated South African runner-up Bianca Buitendag. Formidable waters aren’t the Gold Coast’s only attractions. Athletes, tourists and visitors attending surfing events have a variety of entertainment options after the sun goes down. Pubs, clubs and casinos abound; Conrad Jupiter’s Hotel and Casino at Broadbeach offer gambling fun and easy access to must-see destinations. After a day of competition or endless hours of physical exertion, there’s nothing quite like relaxing in a bean bag, having a cold beer, and catching up with old friends. Catching up is what triple world champion Mick Fanning and Eleven times world champion Kelly Slater did at the Quiksilver Pro. These guys are the Coolest duo ever to hit our bean bags! The area is also home to some beautiful beaches and theme parks such as Warner Bros. Movie World, Sea World and Wet and Wild. After a long day of surfing or checking out tourist attractions, there’s nothing more soothing than relaxing in a bean bag. Without metal or wood parts, there are no hard edges to irritate sore, tired muscles, and it’s easy to find the perfect amount of support by merely adjusting the soft filling. This year, we provided six of our best products to make the Gold Coast’s best surfing venue even better. The three bean bags used in the Bohemian Chill Out Room included the Top Ten Countdown, the Big Boppa in brown corduroy and the Faux Fur bean bag in cappuccino. Our Malibu Day Beds featured in the VIP Marquees. The sleek, modern styling and exceptional comfort of our bean bag furniture add a touch of class and style to any setting. If your company is planning a large indoor or outdoor event, let our bean bag furniture promote your brand while allowing your attendees to enjoy the uniquely luxurious comfort of cloud-soft bean bags. Our product lines include extra large bean bags for upright seating and various lounge styles for more relaxed environments. If your event is near water, check out our fabulous bean bag pool floats. At your request, we can print your company name, logo or image onto your bean bags as part of an impressive marketing campaign that no one can ignore. Our bean bag furniture is durable, lightweight and water- and stain-resistant and a variety of styles and colours to suit every mood and function. Your event deserves the best. Browse our quality furniture selection today, and enjoy the same world-class bean bag products seen at premier sporting events, business conferences and luxury spas. Contact us today to ask about corporate and wholesale pricing.